Reflections and Ruminations: The closing of the Year of Mercy doesn't close our hearts to mercy. 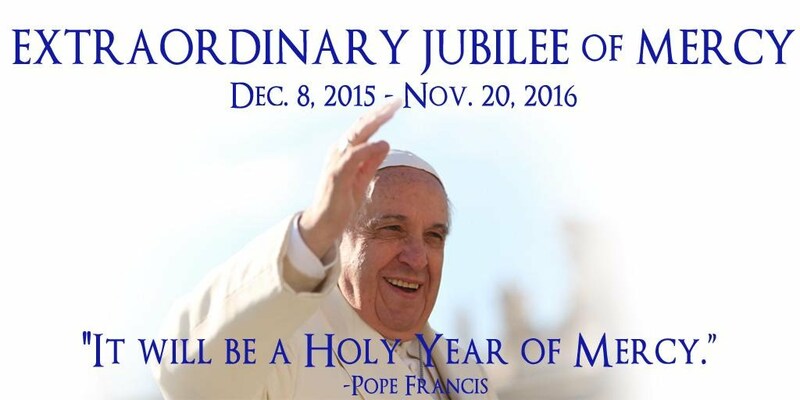 The closing of the Year of Mercy doesn't close our hearts to mercy. 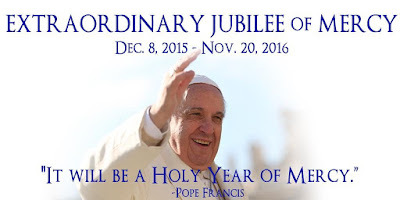 The Jubilee Year of Mercy declared by Pope Francis will come to a close on 20 November this year. In terms of publicity and awareness, there has been quite a lot of traction gained, and credit has to be given to the social media for bringing to all and sundry that one of the ways through which the Catholic Church wanted to her members to encounter the mercy and love of God was through the declaration of such a Jubilee year. Has mercy been understood better by us Catholics as we lived out the Year of Mercy this year? I’d very much hope so. After all, if we really think about it, it is really God’s mercy that will finally give us the ability to experience the eternal joys of heaven at the end of our earthly lives. None of us is ever going to be in heaven’s eternal embrace simply by our having lived spotless and faultless lives. John Bradford, an English Evangelical preacher who lived in the mid 16th century is known to have written this pithy statement that has been somewhat immortalized – there I go but for the grace of God. It sums up pretty well what all of us should always remember – that if not for God’s grace (and mercy), there is nothing that we can personally do to gain us entry into the halls of heaven’s eternity. Have there been ways that we may have misunderstood God’s mercy and thereby not having practiced mercy ourselves? Perhaps. There are many ways in which mercy and forgiveness is either used as a weapon against our adversaries, or when it is beheld in fear instead of awe and love. Of course, much of it is done in ignorance, but they probably find their roots in the ways that we ourselves have been conditionally loved and accepted in our younger days, causing us to do the same when it came time for us to be the face of mercy and forgiveness when we are asked for it later in life. 1) When we believe that the hurt has to stop before it is met with forgiveness. When we are hurt or betrayed by anyone, it is almost intuitive that we find ourselves withholding any form of pardon or forgiveness until we are convinced and assured that we will not be hurt again. While this kind of logic does seem sensible, it really isn’t gospel. What is gospel after all, but the good news that Jesus came to forgive us our sins when we were still mired in them. Jesus did not wait for us to be sorry for our sins or to be assured that we will not sin again before dying to save us. By being mindful of this act of supreme grace by God, we then need to extend this to our brother and sisters who are hurting us. When does an unfaithful spouse need to be forgiven? Precisely when he or she is unfaithful. Yet, many spouses withhold their forgiveness and mercy from their straying spouse until they stop their philandering ways. But if they do stop their ways, wouldn't what caused the hurting actions in the first place also have stopped? There wouldn’t be a need to forgive and show mercy then, would there? By then they would have already undergone a conversion of heart. It is precisely when the hurt is at its worst that the forgiveness will also be most needed. Much like the way the salve goes on the wound when it is still raw and bleeding and only after a keloid has formed, and much like the life vest is needed when a victim is drowning and not when he is back on dry and, we need to see that wanting to forgive only when the hurt stops may be akin to a cancer patient telling the doctor that he or she will only go for the chemotherapy treatment after the tumor is no longer there. 2) Mercy given needs to be an extension of mercy received. We can’t give what we haven’t got. The goodness that we extend to others does not only come from the storehouse of goodness that we have in ourselves. Our understanding of the primacy of grace means that the goodness that all the good that we can and should do is always only in response to the goodness that we have first received from God. The same principle applies to mercy given to others by us. If we find ourselves being calculative, scrimpy and frugal in extending mercy when it is asked of us, it most likely is because we have failed to see just how lavish and utterly generous God has been with us. If we truly appreciate just how mind-blowing the parable of the Prodigal Son/Father is of the revelation of the lavishness of God’s forgiveness and mercy, and have experienced it ourselves through the Sacrament of Reconciliation, it has to result in us being similar channels of mercy to others. This gives good reason for every one of us to constantly go back to the Scriptures to re-appreciate and encounter the depth and counter-logic of God’s mercy to be able to be witnesses of mercy ourselves. 3) Be prepared to be hurt. Again and again. Much as we want to be protective of ourselves against repeated hurt and anguish in life, it simply is not possible. This is because life is not something that is hermetically sealed and sterile, but organic and dynamic. Human relatedness itself, being steeped in life, is always open to interpretations and perceptions, and as a result, wounding as well. Mercy is never going to be a one-time affair on this side of eternity. As our lives are ever evolving, so too are our being exposed, vulnerable to sin, misunderstandings and struggles in relationships. Faith allows us to see these not as stumbling blocks but stepping-stones – to further growth and knowledge of others and of ourselves. Faith also enables us to appreciate our differences in community as means through which we become better people. I like to give the analogy of the science of lapidary. Lapidary, or the art of polishing of gems and stones, uses friction to achieve its aim. One of the simplest and least expensive ways of doing this is through the use of a tumbler and abrasives. Here, the unpolished gems in their raw and unattractive form are placed in a barrel of a tumbling machine with other stones and the barrel is tumbled for a long period. The very action of each stone rubbing and causing friction against each other in a constant tumbling action is what causes the surface of each stone to be polished and smoothened, resulting in the gems worthy to be used as jewelry and fashion accessories, making them more precious, beautiful and appealing then when they were first found in nature. Our spiritual lives are to be lived in such a way as to bring out the best in us and our fellow pilgrims in life, which is one of the ways we need to appreciate community life. Mercy is a prerequisite if we want to shine in the eyes of God. Community, when lived in love, is then our pathway to true holiness, and through our interaction with each other, we polish each other to shine in beauty in the eyes of God. With the Year of Mercy coming to a close soon, it would be prudent to relook at the ways that we may have misunderstood mercy and used it to harm rather than to heal. Seize the opportunity to be bathed anew in the grace of God that is being lavished on us through the Jubilee. Some people have asked me what the Holy Father is going to declare the next year to be. I don’t think it should matter much because if mercy is at the heart of God, it never should end even if it the jubilee does. In the depth of winter, the frozen river may give the appearance that everything has stopped moving and living, but the flow of the river beneath the layer of ice still continues, with life still teeming under the hard and seeming lifeless surface. So too must mercy be the flowing undercurrent of our Christian lives even though Pope Francis officially closes the Year of Mercy on November 20. Mercy, and the call to be merciful simply must not have a use-by date, because God’s love and mercy is eternal. We simply gave this dimension of God’s love added emphasis this year. The closing of the doors of mercy all over the world should never close any of the doors of our hearts to those who need to see Christ and his unconditional love in us. Nota bene: I will be away on a short break to gain some mindfulness and peace for the coming two weeks, giving this weekly blog a hiatus as well. I pray that my time away will give me renewed dedication to my blogging endeavours as I am finding it much of a challenge to come up with meaningful topics for reflection week after week. My next post should resume after I return, energised and refreshed on Monday, 28 November. God bless you, and may you all live holy lives.